Reineke group members Dustin, Leon, Jeff, and Courtney are volunteering this week for the annual Energy and U show! More than 5,000 elementary students in 3rd grade through 6th grade will attend the Energy & U shows in 100 Smith Hall. Three shows are scheduled, Monday, Jan. 12, through Friday, Jan. 16, with performances at 9:30 a.m., 11:15 a.m., and 1 p.m. The show includes numerous explosions and bright flashes along with music that gets the students and professors dancing. The majority of the demonstrations involve student volunteers from the audience. With the primary goal of exciting the students about the idea of going to college and pursuing a career in science and engineering, there is also an underlying message concerning the first law of thermodynamics, the scale of world energy use, and the significant energy challenges that we face. The students erupt when the professors ignite a six foot column of methane filled suds; jump out of their chairs and dance in the lesson that energy is the ability to do work; recoil and then cheer after a large hydrogen explosion; and yell “NO” when asked at the end of the show 1) Can you create energy? and 2) Can you destroy energy? 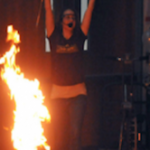 Each show is performed by two faculty members from the College of Science & Engineering. The Energy and U team includes Professors Aditya Bhan, Frank Bates, and Kevin Dorfman from Chemical Engineering & Materials Science, Professor Cari Dutcher from Mechanical Engineering, and Professors David Blank (Energy & U director), Renee Frontiera, Christy Haynes, Marc Hillmyer, Connie Lu, Aaron Massari, and Theresa Reineke. 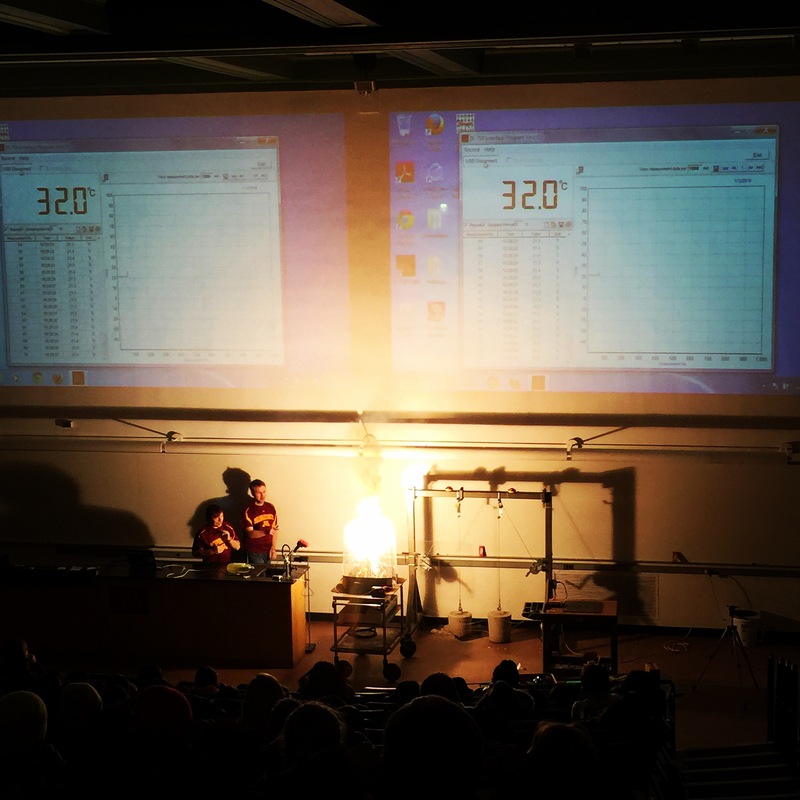 Joe Franek, Department of Chemistry lecture demonstration director, creates and prepares all of the demonstrations for the show. Eileen Harvala, Department of Chemistry communications coordinator, manages the logistics for the show, including the recruitment of schools. Recruitment is especially targeted at schools with high percentages of under-served minority populations and students who receive free or reduced-priced lunch—an indication of poverty. ← Welcome Quanxuan to the Reineke group!